When the Soviet Union put Sputnik, the first artificial satellite, into orbit on October 4th, 1957, the shock of the event seemed to usher in the “space age.” The fact that the two then-superpowers were able to mobilize their resources and orbit satellites within months of each other, however, shows that there had been a lot of preparation, only some of it public. Besides the many and well-funded secret programs on both sides, the public face of space had long been cultivated in print and by film science fiction, as well. These imaginative and compelling stories had, in fact, emboldened numerous budding scientists and engineers to believe that space travel was imminent. Memoirs and oral history interviews with space engineers, scientists, and administrators provide abundant testimony to the power of science fiction images and stories. Cinema, television, and new media arose from scientific and technological innovations, often incorporating these very themes into their artistic productions. Crude “moving pictures” emerged from late nineteenth century shops of inventors to captivate and entertain the public. The medium grew rapidly from short vignettes to longer productions with narrative frameworks, including stories about science and technology itself, which already had a strong public following in fact and fiction of the period. Newsreels brought the discoveries of science and the marvels of engineering to the screen, bolstering the celebrity of public scientists and engineers. Feature films quickly adopted scientific and technical genres of existing fiction, which could be brought to life by featuring sound, rapidly developing special effects, and other techniques. Early film makers cut their teeth on the popular imaginative fiction of the Victorian era, especially the futuristic science and technology-infused novels of Jules Verne and H.G. Wells. Verne’s From the Earth to the Moon (1865) imagined the limited technology of the day enabling a lunar voyage: a huge cannon was used to propel a group of scientists and adventurers in an artillery shell vehicle into space. 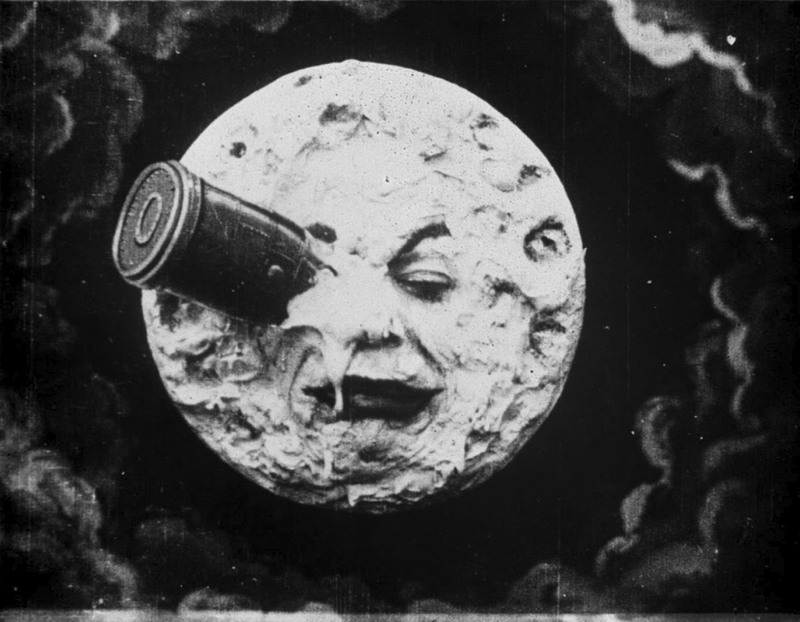 The inventor and well-versed stage magician Georges Méliès produced his famous 16-minute Le Voyage Dans la Lune (1902) using Verne’s story and characters. Méliès is credited with producing the first “long” film with a narrative structure, as well as developing the first use of many special effects and editing techniques. His work was lovingly portrayed in the concluding episode of Tom Hanks’ twelve-part miniseries, From the Earth to the Moon (1998), intercut with a narrative of the final Apollo landing of 1972. Martin Scorsese departed from his more usual subject matter to explore Méliès’ later life in the lavishly produced 3-D Hugo (2011). H.G. Wells’ The War of the Worlds (1898), The First Men in the Moon (1901), In the Days of the Comet (1906), and The Shape of Things to Come (1933) similarly formed the basis for numerous film interpretations well into the actual space age. 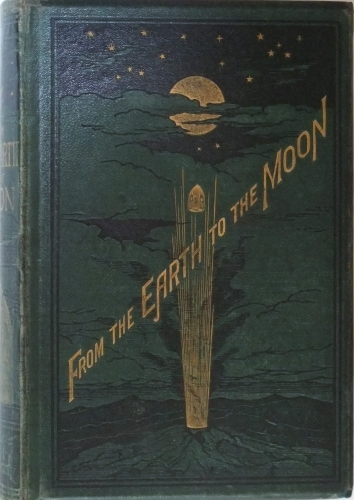 Just as Verne’s writing had incorporated then-current nineteenth century theories of the moon’s surface and interior, Wells’ works also used contemporary science and technology throughout. 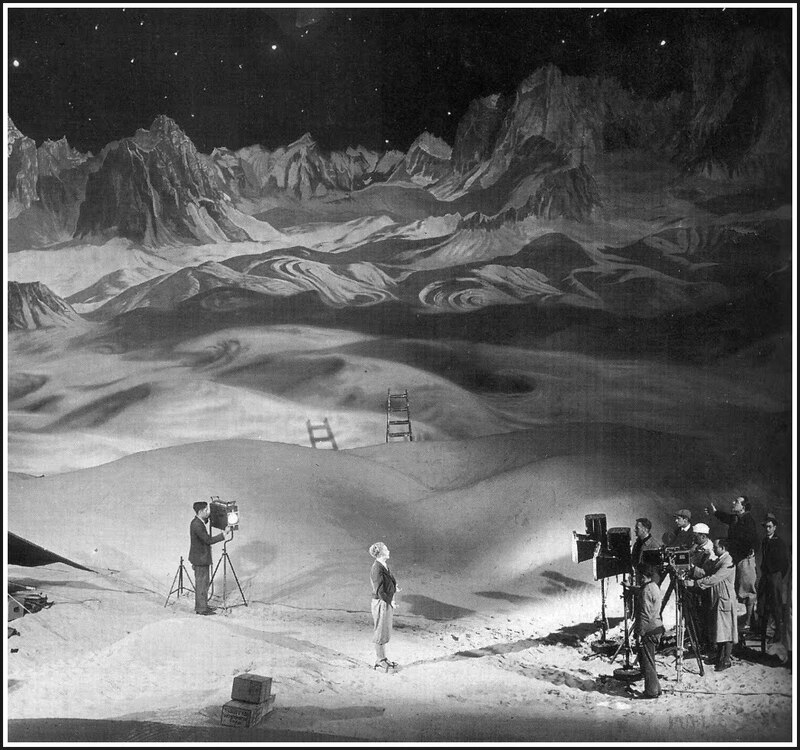 Fritz Lang’s Frau im Mond (1929) drew on Wells to imagine an updated journey to the moon, but the director also relied upon the input of a host of technical advisors, including a who’s who of the budding field of rocketry. Lang brought special effects to new heights, busted his budget, produced a film that was spectacular and far too long, and otherwise seemed a thoroughly modern film maker. At Lang’s side was the young Werner von Braun and his more senior tutors in rocketry. Von Braun and his colleagues would go on to develop rocketry for Germany during the Second World War, missiles for the U.S. and the U.S.S.R. afterwards, and then the giant rockets and infrastructure for America’s Apollo missions to the moon. 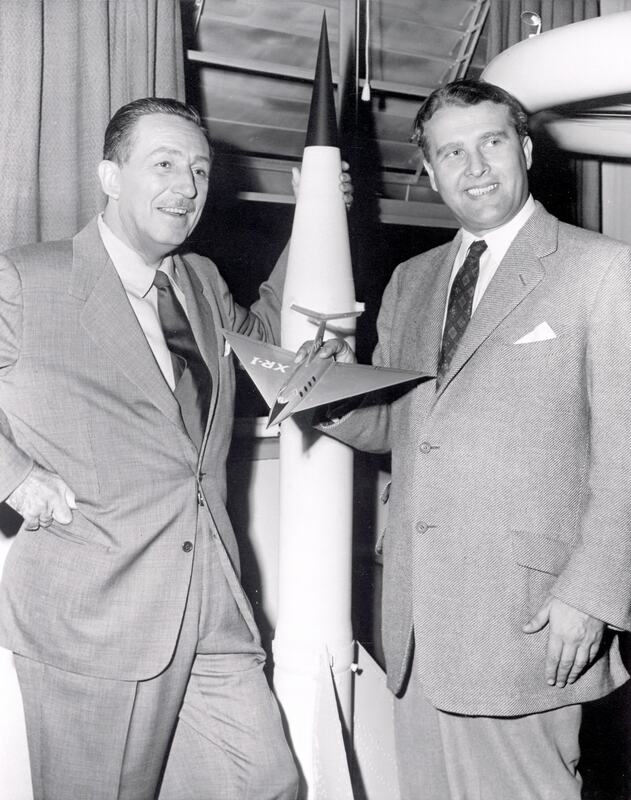 Von Braun and his U.S. group traded Lang for Walt Disney, helping to infuse his numerous productions with enthusiasm and making the imaginary technology in them seem palpably real and achievable. Disney’s chief animator, Ward Kimball, recalled that President Eisenhower had requested that a copy of the 1955 Man in Space episode aired on Disney’s prime time television program be shown to the Pentagon staff. Subsequent episodes focused on lunar, and then Mars journeys, combining Disney production values with the know-how and even on-camera presence of von Braun’s network of engineers and scientists. Joined by the complementary medium of television in the second half of the twentieth century, the omnibus genre of “science fiction” became a repository of existing knowledge and technique that was expanded upon to reflect new and imaginative projections of future developments. Blurring the distinction between documentary and fiction, media productions of scientific and technological stories became a forum where the public confronted the benefits, dangers, drama, hopes, and fears of an avowed scientific and technological age. Joseph N. Tatarewicz is Associate Professor in the UMBC Department of History and Director of the Human Context of Science and Technology Program. His course – Images of Science and Technology in Cinema and Media – introduces historical media analysis and criticism, applying it to more than a century of productions that shaped public images of scientists and engineers, their work, and its implications for the future.